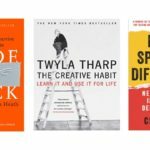 I recently stumbled upon a great article entitled “Inspiration Points” that describes how “Entrepreneurs reveal what sparks their creativity.” Surprisingly, the vast majority of the entrepreneurs featured describe moments away from their desks, while taking a pause from work, when the muse most often strikes – taking a walk, making food, reading biographies (before falling asleep), and scuba diving. 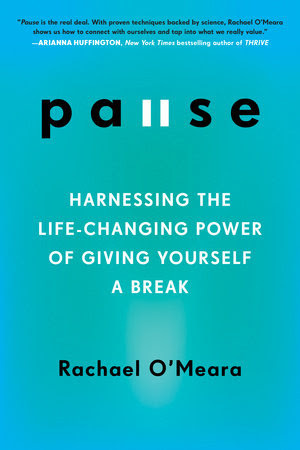 With that in mind, I am excited and honored to share my story included in a new book – PAUSE: Harnessing the Life-Changing Power of Giving Yourself a Break – that describes how to tap into that counter-intuitive inspiration. For those of you who have ever thought about taking a break from your career to consider new directions, I highly recommend this new book by Rachael O’Meara. In June of 2009, during the thick of the financial crisis, I was suddenly laid off from ContextWeb, a digital advertising exchange based in New York City. I arrived back at my apartment in Brooklyn later that day, reeling from the news. “What should I do next?” I asked myself. Honestly, I had no back up plan. And two weeks earlier, my girlfriend and I had just split up. The summer became an emotional roller coaster: Some days I felt exhilarated with the freedom to pursue my dreams while other days I felt anxiety, uncertainty and shame for not having steady work or a relationship. Insomnia ensued. I had always wanted to move back to the Midwest, where I grew up. My lease expired the following month. I realized that this layoff presented me with my chance. Within a matter of days, I decided to move to Chicago to live closer to my family and pursue a long-term dream. I gave my landlord notice that I would move out the following month. I originally moved to New York City a decade earlier to attend Fordham University’s Global MBA program. Following graduation, I worked at Time Warner for nine years in a variety of digital marketing and advertising sales roles. During my last two years at the company, I moved to Mexico City to launch CNNExpansion.com, the largest business news site in Mexico, with the team at Grupo Expansión (then a division of Time Inc.). Subsequently, after wrapping up my assignment in Mexico, I left Time Warner and moved back to New York City to work at ContextWeb, a late-stage start-up to launch a new product: its Spanish-language contextual advertising product. I managed sales initiatives for the U.S. Hispanic market and, in addition, opened a sales office in Mexico City. While working for ContextWeb back in New York, I began contributing articles to MediaPost (a media, marketing and advertising website), writing about my new area of expertise: U.S. Hispanic marketing. While attending the conference SXSW (South by Southwest) in 2009, I sat in on a session about “How to write your own book” to explore an inner desire to write a book. There, I befriended a book agent who explained the process of pitching and writing my own book. I felt inspired to weave a book together based on my contributions to MediaPost’s Engage:Hispanics column. I set a goal for myself: write a book within the next five years. I crafted my first book proposal over multiple weekends and late nights. I received positive feedback from the agent. I moved in with a friend in Chicago during the fall of 2009, staying on his couch, and slashed my costs. I signed a contract with my publisher, Paramount Books, shortly after arriving in Chicago and wrote the manuscript for Latino Link: Building Brands Online with Hispanic Communities and Content, in just over twelve months. I applied and interviewed for the few job opportunities that surfaced while researching material for my book and interviewing experts in Hispanic marketing. But, the post-crisis job market proved challenging. Again and again, the applications and interviews yielded rejections or just complete silence. Apparently, I was not the only MBA with bi-lingual skills and a charming smile. Yet, the rejections had an upside. They meant I could continue writing my book and building my personal brand via MediaPost and social media. I never intended to take a “pause.” I spent 70% of my time writing and the other 30% searching for new career opportunities, so I guess you would call it a blended “pause.” Of course, my savings helped finance my time off. And a friend’s couch helped me keep costs low. Now that I am taking the time to write my own story here, I realize that I didn’t really pause during my pause. I kept on pushing ahead, pursuing my goal of writing my first book. Probably the hardest aspect of my experience, emotionally speaking, was receiving unemployment insurance. I learned how that can deteriorate self-confidence, especially if you are a type-A, work-oriented person. My previous boss encouraged me to take it, reminding me that everyone contributes into the unemployment insurance fund. But still, when we grow up and become accustomed to working, it actually proved difficult for me to take a pause and accept not earning money for a while. In advance of Latino Link coming out in the fall of 2010, I organized a book tour, speaking at conferences, companies, and universities across the U.S. Following some initial reviews and media buzz during the book’s release, Fox News Latino and The Huffington Post invited me out of the blue to contribute to their websites, further establishing me in my area of expertise online and in the media. Some insiders in the book industry warned me: thousands, yes thousands, of books in English come out EVERY DAY. 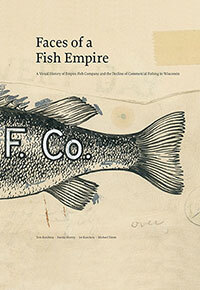 So, however niche my book was, I faced incredible competition in the market place. Nevertheless, I consider the number of books I sold a moderate success. I have learned over time how few books actually make money, both from personal experience, as well as from comparing notes with other authors. The vast majority of business authors actually make money from speaking and consulting fees, not their books. I also learned that most authors give away copies of their book, using it as a business card, not as a revenue source. You can read about my experience of writing, editing and promoting a book in my 3-part blog post series here. During my book tour, I met Roberto Orci, the CEO of Acento Advertising, who invited me to organize a digital marketing workshop at his advertising agency in December of 2011. The session evolved into a full-time opportunity to work at the Los Angeles agency as its Director of Digital Media. I left chilly Chicago, during a snowstorm no less, for the sunshine and palm trees of Southern California. What wasn’t to like? The position started well enough, but when the agency lost a few clients, it eliminated a number of positions, including mine. My dream of settling into a new director-level position in sunny California ended after only six months. And yet, fortunately, the agency hired me back as a contractor for which I am grateful. Acento became my first consulting client, which then expanded into work at other nearby advertising agencies as a social media and content strategy advisor. This time around I felt more positive since I had a few consulting projects lined up with local advertising agencies. I looked for work and continued to write for Fox News Latino and Huffington Post. 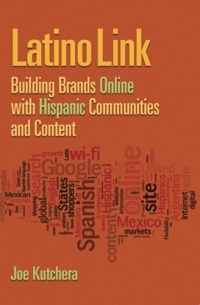 A few colleagues in digital/Hispanic marketing suggested that I write a Spanish-language version of Latino Link to further highlight my expertise. A friend attended the largest book fair for the Spanish-language publishing market, known as “Feria Internacional del Libro” in Guadalajara, Mexico. She asked around and found two potential publishers. 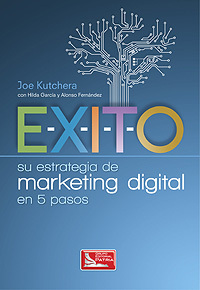 After a few lunches and some negotiations, Editorial Patria, part of the Hachette Book Group, signed me and two co-authors to write E-X-I-T-O: Su Estrategia de Marketing Digital en 5 Pasos (Your Digital Marketing Strategy in 5 Steps). “Éxito” is the word for “success” in Spanish and spells the 5-letter acronym of the trademarked marketing planning process that I use with my clients. While this second book proposal started out as a “translation” of my first book, it evolved into an entirely different book with new case studies and a more hands-on approach for implementing digital marketing strategy, but this time targeting readers in Mexico and Latin America. Much of what I wrote for this book, I first published on Fox News Latino, on my blog, and supplemented it with the translation from my first book. During this second pause, instead of taking time off to write my second book, I juggled writing and consulting projects at the same time. By working while I wrote, I was able to incorporate my clients’ digital and social media marketing stories in the book. Their real-world examples provide readers with practical and useful advice for professionals, including potential future clients. In addition, working and writing simultaneously allowed me obtain real-time feedback from clients about my E-X-I-T-O marketing consulting process. There is no escaping it: getting laid-off stinks. Nevertheless, I credit these two pauses as chapters in my life where I embraced my curiosity as well as my passion for writing, marketing, speaking Spanish, and Latin American culture. My two “forced” pauses pushed me to look within, overcome fear and come out, after much reflection, with a renewed identity of myself and my career aspirations. In December of 2013, after freelancing under my own name for two years, I incorporated my own consulting company – Latino Link Advisors. We help our clients with content marketing strategy and planning, oftentimes focusing on the U.S. Hispanic market and Latin America. 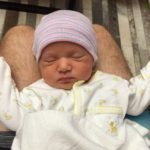 Today, as I publish this post, I’m actually taking my third pause, evaluating new career directions that better fit my lifestyle as a parent, and working on my third book. Take an inventory of what you have: When I lost my job, I obsessed about my lack of work. But when I changed my mindset towards actively practicing gratitude for the many things that I did and do have, I found myself more content and new opportunities came my way. I now schedule time to reflect and journal about my accomplishments and goals ahead. Take a PAUSE…really: Yes, it is addicting to keep running around the hamster wheel. I now realize that I clung to the familiar: action, busy-ness, and trying to do more of the same. 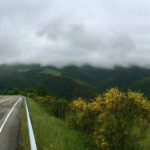 Instead, I recommend taking a break, meditating, practicing yoga, daydreaming, re-connecting with friends and family or trying something new. This is your chance! Unemployment insurance or a part-time job can help pay the bills. Reflect on past, present and future. I found doing “nothing” during meditation allowed me the time to notice my inner “conversations,” rationalizations, dreams/desires and inner demons…and come to peace with them. Key Relationships: During life’s difficult moments, we discover, or re-discover, our true friends. Who is there for you? Whom do you trust? Those people can provide you with a sounding board with essential perspective during life’s transitions. Perhaps they can introduce you to potential employers or clients? Or, can they simply listen and help you explore which routes to pursue? Find a Mentor/Coach: Would you find the perspective of an older/wiser professional helpful? Then perhaps a mentor is for you. Whose opinion do you value that can help you look around corners and consider what to do next? Your mentor could be a previous boss, family member, or fellow member of your church or professional organization. Remember that a having a mentor isn’t all “take.” You need to add value to the relationship as well and show your appreciation for him/her taking time out of their busy schedule. Mentors can help you chart a course for something completely new like starting a company or writing a book. MasterMind Groups: In addition to mentors, “Master Mind” groups can impart the necessary insights about how to start up a business. Napoleon Hill introduced the concept of Mastermind groups in his book “Think and Grow Rich,” which he describes as: “The coordination of knowledge and effort of two or more people, who work toward a definite purpose, in the spirit of harmony.” A Mastermind Group is not a class, group coaching, or a networking group. Instead, it provides a platform for brainstorming around common goals as well as accountability and support among the group members. Your team may include fellow job seekers or authors-to-be. In my case, I have found it especially helpful to join a group of five entrepreneurs. We talk about how to get clients, find/hire new employees, and manage finances. I found my accountant, bookkeeper, time tracker, and CRM (customer relationship management) system for my consulting business all from my fellow MasterMind group members. By sharing know-how and tools, you will help one another grow and learn faster. Follow your passion: What are you really passionate about? What problems do we need to solve in our larger society? Where do the answers of those questions intersect? That’s where your consulting, research, and/or book can offer the most value to society. Construct your pause around your passion: What do you love to do but routinely think, “Oh, I don’t have time for that!”? Well, your pause provides you with the time and space to pursue that. You may end up discovering a new passion that takes your life on a whole new career path, introduces you to a new circle of friends, or simply evolves into a new hobby. “Transitions: Making Sense of Life’s Changes” by William Bridges provides readers with a summary of the emotional process and evolution that we go through during major life changes like losing a job, moving, or changing careers. I found this book enormously helpful in understanding the process of going through my own transition.